You can’t beat a family holiday by the seaside – whether it’s a weekend on the Isle of Wight or a fortnight on Corfu. But if you fancy something less ‘bucket-and-spade’ and more alternative, try one of these ideas for a more unusual family holiday. They include far-flung family-friendly adventures, new twists on popular European destinations, plus some unusual places to stay in the UK. Southwest self-catering specialists Classic Cottages have a great range of glamping options for families, including luxury safari tents, Airstream caravans and even a glammed-up shipping container, affectionately known as Rusty the Tin Tent. For families with younger children, I’d recommend Gwel an Mor. 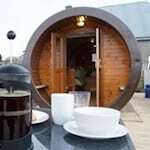 There’s nothing particularly ‘unusual’ about its Scandinavian-style lodges – they all have wonderful views of the North Cornwall coast and boast nice little extras like hot tubs. The resort’s USP (Unusual Selling Point) is its wildlife centre where kids can get up close and personal with foxes, slow worms and other local critters. 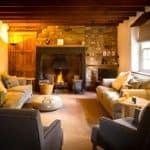 Staying on a farm is another fun and rewarding way to get in touch with nature – and it certainly makes for a more unusual cottage holiday. 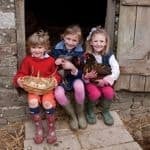 Try holidaycottages.co.uk for farm holidays for children in converted barns, farmhouse apartments and cottages. I can recommend plenty of fabulous all-inclusive family holidays, as well as hotels with some of the best kids clubs. However, if you’re looking for something a little bit different in Europe, there are plenty of family holiday operators venturing ‘off-resort’. For example, why not get the grandparents, cousins, uncles and aunts together and rent a chateau in France? Oliver’s Travels has some impressive piles to peruse, such as Chateau Gombardy in the Loire Valley. 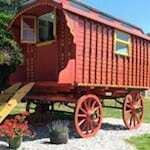 It has room for 16 and comes with its own swimming pool, tennis court and coach house. The Big Domain also goes XL on accommodation. 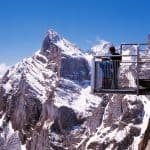 If destination, rather than accommodation, is the driving force behind your ‘unusual family holiday’, it’s easy to sidestep the tourist hotspots. 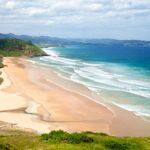 In Spain, for example, Vintage Travel offers an antidote to the Mediterranean Costas with its selection of family villas in Northern Spain where you can combine time on beautiful (less crowded) sandy beaches with adventure activities in the mountains. Likewise, Puglia in Italy provides an offbeat alternative to the more touristy parts of Italy. You’ll find unspoiled beaches, traditional fishing villages and ancient hill towns – not to mention some excellent family hotels. Check out the stunning 16th-century Masseria Torre Coccaro with its private beach, ancient olive gardens and gorgeous pool. Then there are the countries you might not have even considered for a family holiday. Take Iceland – it’s one big outdoor adventure playground, offering activities ranging from whale watching and horse riding to snowmobiling and glacier trekking. Regent Holidays can help you plan a family fly drive holiday. Theming your holiday around a particular activity is guaranteed to elevate them out of the ordinary. 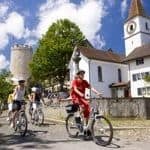 Inntravel, for example, offers self-guided family cycling holidays throughout Europe. Luggage is transported for you, and there’s a comfortable family hotel at the end of each day. Activities Abroad has an action-packed line-up of holidays that are particularly suitable for families with teenagers. 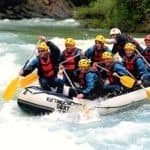 Take your pick from canyoning in The Ardeche, canoeing, surfing and orienteering on Portugal’s Alentejo Coast and white-water rafting in the Julian Alps of Slovenia. Alpine Elements has a great range of sailing holidays in the Mediterranean including a two-week Stay and Sail Holiday which combines a week’s tuition on the land with a week at sea in a flotilla. For gentler waters, Peter Sommer Travels offers gulet cruising holidays, sailing along the coast of Greece or Turkey, dropping anchor off deserted coves and going ashore to explore ancient ruins. Travelling long haul opens up a whole range of possibilities for unusual family holidays, whether it’s somewhere alternative and little visited or an opportunity to embark on an exciting adventure. Some are classic journeys, specially tailored for families. Selective Asia, for example, can whisk you the length of Vietnam from Hanoi to Ho Chi Minh. Borneo is off the map for most families but it’s actually a great destination for kids with its combination of wildlife, rainforest, tribal culture, hiking and beaches. It’s also a good place to visit in the summer holidays. 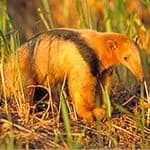 Check out this selection of family itineraries in Borneo. Inside Japan Tours can transport you to the land of manga comics and Harajuku Girls, bullet trains and Hello Kitty, while Dehouche offers some amazing family holiday itineraries in South America, featuring destinations like Peru‘s Sacred Valley of the Incas and Brazil‘s wildlife-rich Pantanal. Family-friendly safaris are well established, with malaria free safaris in South Africa being particularly popular with young families – this twin centre itinerary combines Madikwe Game Reserve with a stay at Sun City. Rainbow Tours has a 13-night self-drive tour in South Africa taking you from Cape Town, along the scenic Garden Route and finishing with a safari in the Eastern Cape. 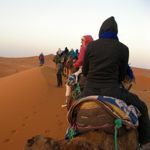 Perhaps the most unusual family holidays – and certainly some of the most meaningful – are offered by Hands Up Holidays where your time is split between experiencing an amazing destination and working on a volunteer project to benefit a local community or threatened environment. In Costa Rica, for example, you can combine a tour of jungles, volcanoes and beaches with volunteering on a project to introduce sloths, raccoons, monkeys, macaws and parrots that were illegally kept as pets back into the wild.